Over the last 40 years, the guys from Euro Tool have managed to build quite a reputation – the company is now one of the most famous manufacturers of power tools. Their products offer enough efficiency and durability to be worthy of being considered for purchase, whether you’re just a DIY hobbyist or a professional contractor. Those looking for a cheap press drill that will provide them with regular and uninterrupted drilling will find the company’s Small Benchtop Drill Press DRL-300.00 model as an excellent choice. Although it’s not a powerhouse like the more expensive models, this unit is still more than capable of assisting you with a variety of projects. If you’re still unsure about it, we advise you to read on – we’ll be taking a closer look at the unit’s features and characteristics. Is it actually worth the money? Let’s find out! With the weight of only 12.2 pounds and the dimensions of 10″ x 12″ x 8″, the DRL-300.00 is the smallest drill press we’ve reviewed so far. This compact size makes it a perfect choice for those with small, cramped workshops, as well as for those who often have to transport their machine from one place to another. The DRL-300.00 provides the user with variable speed (up to 8,500 RPM) and allows easy speed adjustment via the dedicated knob. It has a small base that’s very stable and can be bolted to the workbench, as well as the 1/4″ chuck, a 5.5’ cord, and 1-year warranty. As we said, the DRL-300.00 sports the smallest weight and dimensions we’ve seen on a press drill. This, in turn, makes the model highly suitable for users who need a model that’s compact and easy to transport. This space-saving design is precisely what some DIY hobbyists are looking for, and a thing that’s bound to make this unit very popular in the upcoming years. Despite its small size, the machine still feels quite durable. It combines steel and sturdy plastics as its primary build materials and allows the user to mount it on a table, stand, bench, or to the floor. The spindle’s angle is fixed, letting you drill accurate and consistent holes from project to project. The drill is very easy to operate with, as it has only a couple of controls that are straightforward and can be used by literally anyone. This ease of operation makes DRL-300.00 more than suitable for the beginners in the DIY world. The model is powered via 110 volts or 100 watts AC rating. Its small motor is quite efficient, as it can achieve the maximum speed of 8,500 RPM, which is quite impressive for such a compact device. It offers three different speed settings that let a user choose from a range between 0 and 8,500 RPM. This makes selecting the optimal speed very easy, especially when we consider the unit’s easy-to-operate speed knob. Small Benchtop Drill Press DRL-300.00 has a 1/4″ Jacobs chuck that accepts bits up to 6.5 mm. This will be more than enough for the DIY enthusiasts who don’t want to spend too much money but just need to drill a hole here and there. The package includes a 5.5′ cord and a 1-year warranty, as well the (very simple) user manual. Due to its small size and a slim profile, this model is an ideal choice for those looking for a space-saving press drill. That’s precisely the thing that impressed us the most about it – the fact that DRL-300.00 is so compact is exactly one of its most significant benefits. The unit is more than suitable for the woodworking DIY enthusiasts, as it leaves clean and splinter-less holes in the wood. We like that it sports variable speed settings – the ability to choose the bit’s rotation rate is of paramount importance when it comes to these types of power tools. Other than that, we also liked the unit’s stable base, easy-to-operate controls, as well as the affordable price that puts it into the reach of thousands of handymen around the world. 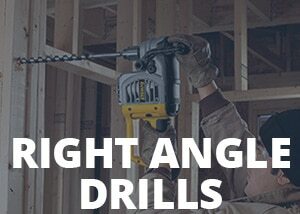 Using this drill on heavy-duty materials, such as steel, is more than likely to get it severely damaged. The DRL-300.00 has not been designed for use on thick and hard materials – avoid such operations if you don’t want to deal with breaks and overheating. The unit’s user manual is among the worst ones we’ve seen so far. It is, essentially, a 1-page flyer with a list of labeled parts and some photos. There’s not much info on anything, rendering the “manual” almost useless. The users are very impressed with DRL-300.00. Those that used it for a couple of months say that the unit works just as advertised, as it effortlessly drills holes in the wood no matter which speed setting they choose. Furthermore, they are pleasantly surprised by the drill’s build quality, saying that it’s a great deal for the money. Those that tried to drill metal with DRL-300.00 have ended up disappointed. The machine doesn’t have enough torque to deal with tough tasks and is not suitable for heavy-duty use. While it won’t be able to assist you with your heavy-duty projects, the Small Benchtop Drill Press DRL-300.00 is powerful enough to complete every woodworking task you throw at it. Even though it lacks fancy features of the more expensive drills, this little machine had us impressed with its capabilities and features – we think that it’s an excellent buy for the DIY enthusiasts on a tight budget.